A little summary of our time at three of the Gold Coast Theme Parks, a mini holiday within the holiday. We knew that we wanted to go to one of the water parks on the Gold Coast when we were driving through as the weather was too good to pass up the opportunity to splash down some awesome slides...so we did a small amount of research and decided that Wet'N'Wild looked like the most fun.This research also revealed to us however a VIP pass where we could also get access to Warner Bros Movieworld and Sea World for only $AUD 30 more so we decided to stop off for a bit longer, relax and visit some theme parks. 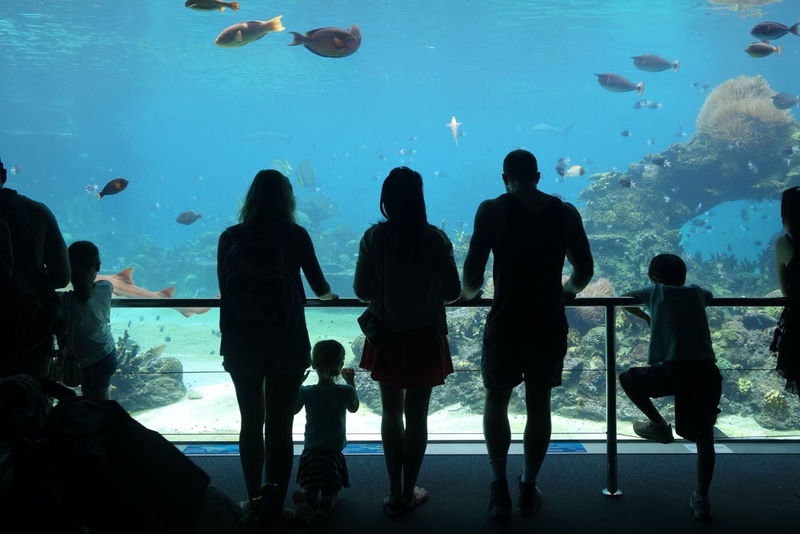 On our way into the Gold Coast area from Byron Bay we started our adventures with Sea World which is just a little north of Surfers Paradise. 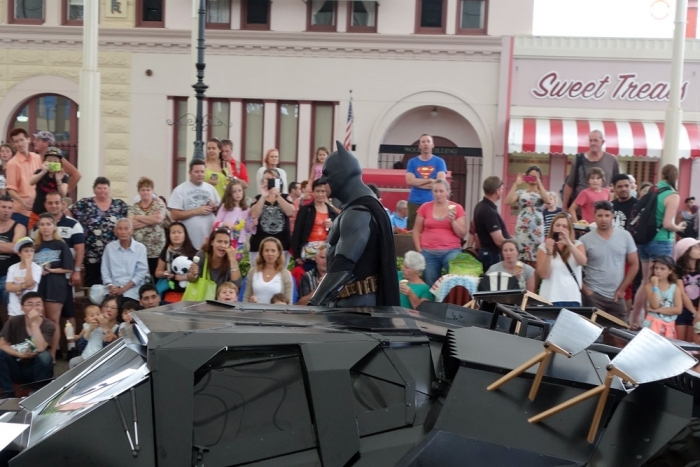 It has a couple of roller coasters, some shows and some animal enclosures. Our first activity was trying to do all of the rides. 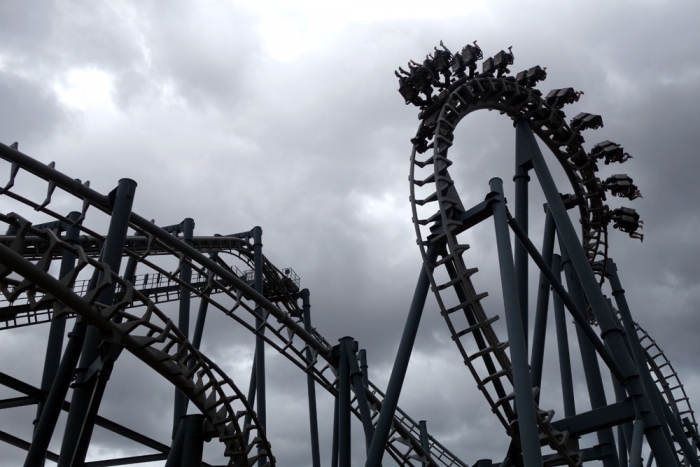 They have two big ones called 'Storm' and JetRider'. Its worth knowing that you cannot bring loose items on these rides so we paid for a locker for an hour so that we could go on them. 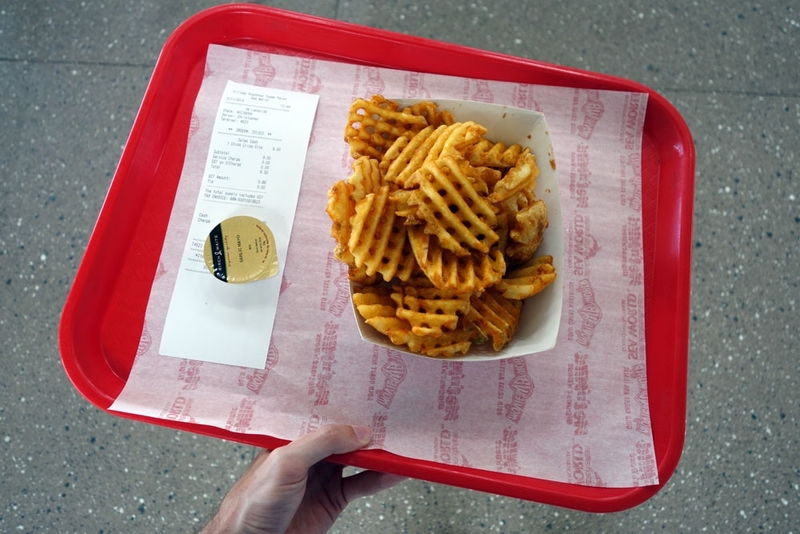 You can bring things with you on the other rides. JetRider is super fast, one of those 0-60 MPH rides and is a little bumpy. 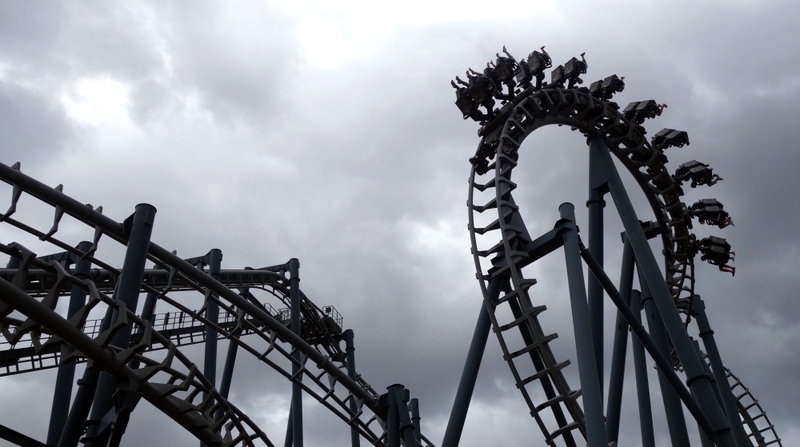 Storm is a standard rollercoaster combined with a big splash into water at the end so you do get pretty wet! 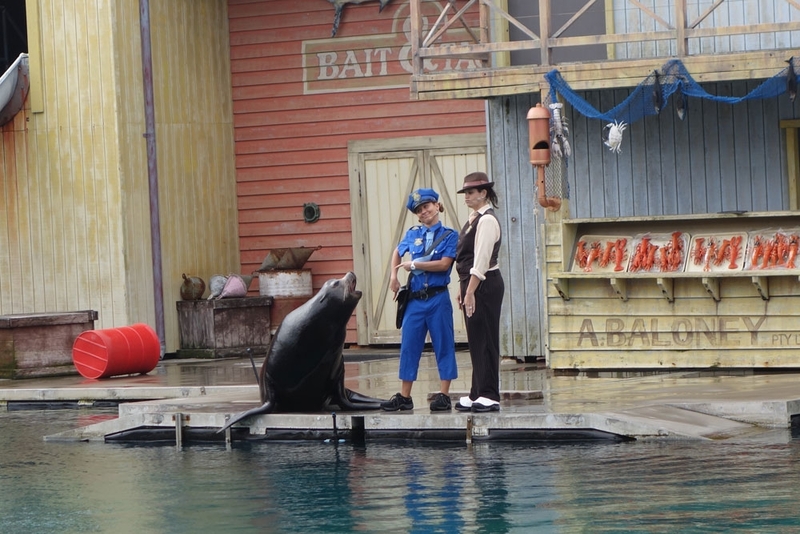 In terms of shows; we watched the SeaLion Detective show, the dolphin show and the jet ski stunt show. My favourite was definitely the SeaLion show, I was very impressed but I won't spoil it for you with specifics. The dolphin show was also amazing with lots of ooos and ahhhs and dolphins jumping all over the place. Coming up last was the jet ski stunt show which is still very cool but just doesn't compete with the animals. 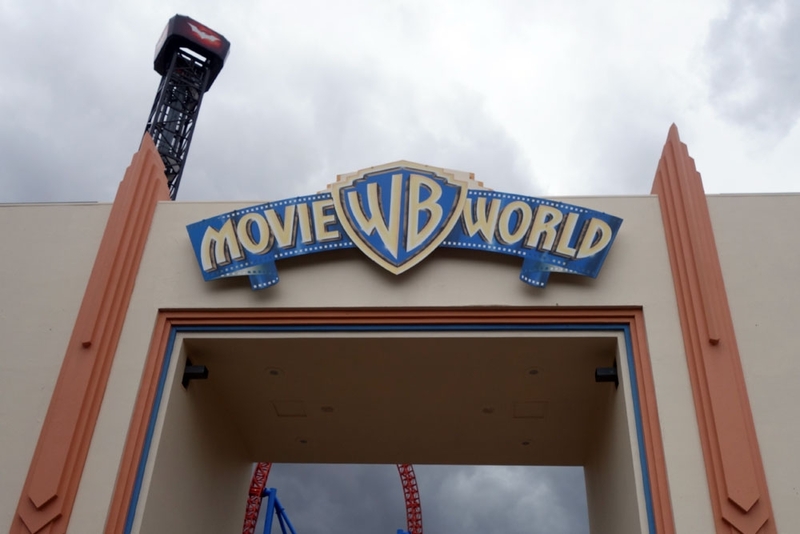 Our next stop was Movieworld the day afterwards. It has a few more adventurous rides and I must say I am a bit of a coward when it comes to roller coasters with big drops so we only managed one of the proper scary rides; Arkham Asylum. It apparently reaches 4.2gs and has 5 inversions. 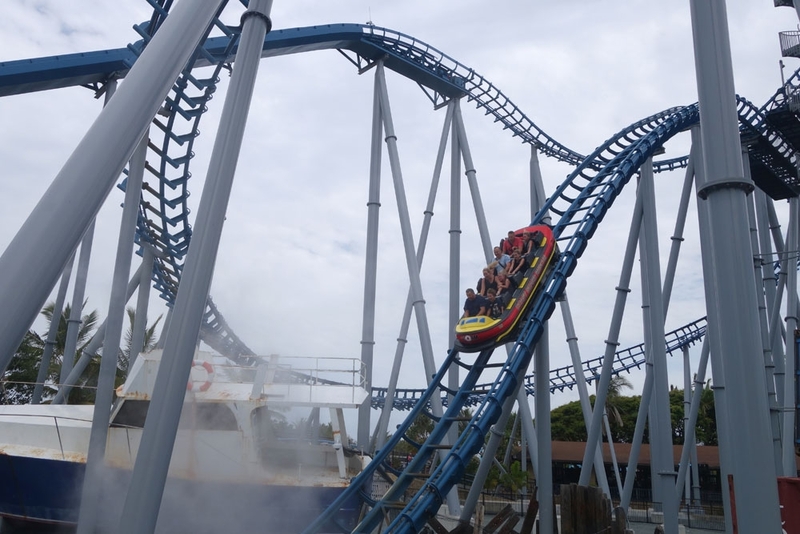 Apart from the initial drop (which wasn't too bad but still horrible for me) it was actually pretty brilliant with loads of fast loops and turns and spins. We spent the rest of the day doing the other attractions such as the 4D Rio movie (a little anti climatic if I'm honest but still entertaining) and the 3D Justice League ride and of course watching the final parade like little kids. 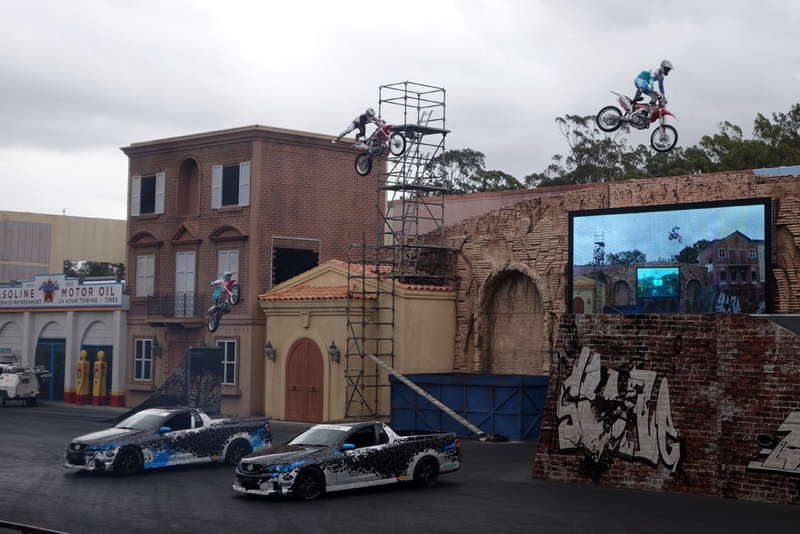 There was a stunt show at this park as well with Hollywood stunt drivers showing off their skills which was pretty entertaining and very popular (there was a queue half-way round the park to get in!). Unfortunately the Scooby Doo coaster was closed for maintenance whilst we were there but Alistair assures me that it is actually a pretty great ride from his previous Australia trip. I think my favourite park has to be Wet'N'Wild which we visited on our last day. It may just have been because it was the sunniest and warmest of the days as well so we appreciated splashing about in the water but there is loads of fun to be had at this park.We started off easy with Mammoth Rapids; a round tube slide for up to 4 people which was reasonably calm and you only get a little wet. We then advanced to the Super8 racing slides and the Rapids which were single rider slides so in our opinion not quite as fun. Next stop was the Constrictor. The queue was quite long for this one but it is another round tube slide but is enclosed and has a few tighter turns and is a bit faster; not sure it was worth the hour long queue though! We then found our two favourite slides which we spent the rest of the afternoon on. Black hole is a two person slide which is in the pitch dark and was fairly speedy compared to the others. There were fast turns and small dips and it may have been my ultimate favourite of the day. The other was Sidewinder which was a three person non-enclosed slide which was also one of the fastest with lots if twists and turns and you do end up quite wet! There are other slides in the park which we didn't try due to the huge drops (my cowardice again) but they came recommended by more thrill seeking people we chatted too. Like us however, it is possible to have a really fun day at the park without experimenting with the big scary looking slides! We really enjoyed our little holiday within the holiday. 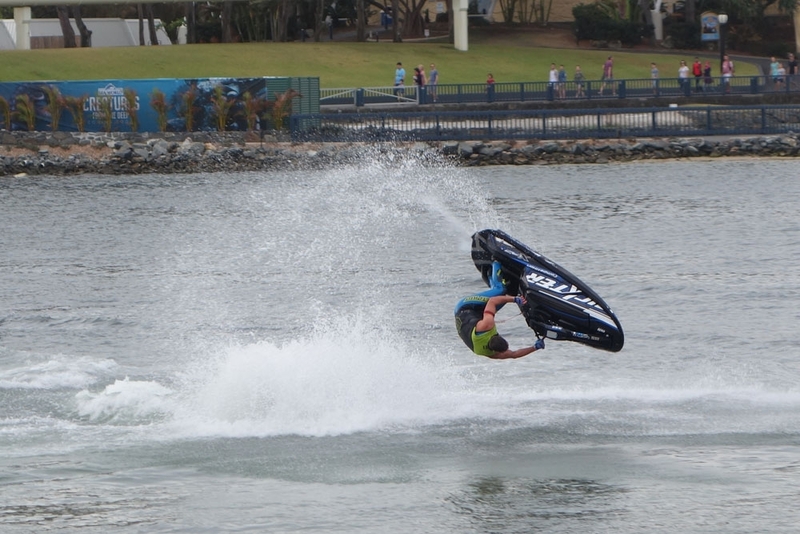 It was nice to stay in one place for three nights and just relax and have some fun so I would recommend it for anyone who has the time and budget whilst they are in the Gold Coast and as you can see, the parks are definitely enjoyable for all ages and levels of adrenaline junkies. In terms of food and drink; the websites state that you can't bring your own food into Movieworld or Sea World, the only things allowed are water and fruit (unless you have dietary requirements or small kids) so we listened and just bought food in the park (the criss cross fries are huge and quite cheap at around $AUD 9 so we feasted on those) but we will say that absolutely no one checked our bags at either park so we probably could have brought our own stuff. 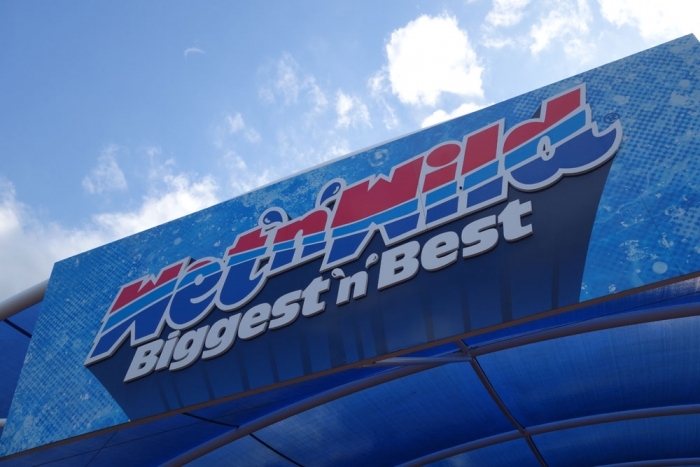 Wet'N'Wild is different and you can bring your own picnic into that park with no problems. 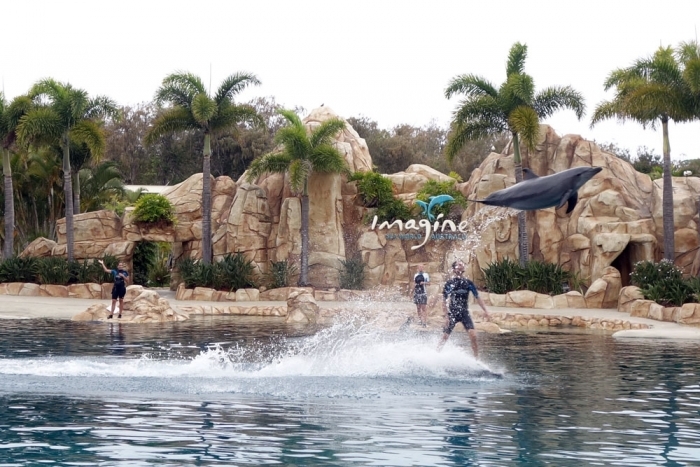 *FYI we drove across the border from NSW to Queensland and then headed straight into Sea World. It wasn't until we were waiting for one of the shows to start and absolutely no one was turning up that we realised there is a time difference between the two states and NOONE tells you when you cross the border! So it is something to be aware of, especially if you need to be somewhere at a certain time.